Cora Alisuag, MN, MA, CFP, is the President and CEO of CORAnet Solutions, Inc., a health information technology company with global patents. She is the inventor of CORAnet technology, the software engine that drives CORAnet’s Personal Health Information Exchange (PHIE), allowing patients’ mobile device access to their complete medical records. She is also an MN, MA, CFP, and healthcare industry speaker and serial medical entrepreneur. With more than two decades of experience in business management and medical operations, Alisuag has been instrumental in the development and implementation of Personal Health Information Exchanges (PHIE). She pioneered the technology behind the interoperability and portability that enables EMRs to communicate and operate on mobile devices. This life-saving capability not only can save the life of someone unable to communicate during a medical emergency but brings electronic medical records to the fingertips of consumers. The design of the CORAnet PHIE served as one of the foundational concepts for the Blue Button of the U.S. Veterans Administration that allows veterans and private citizens to access their own medical records regardless of where they are stored. Alisuag is the inventor and patent holder for CORAnet, an electronic medical records technology that was funded under the SBIR program by the U.S. Agency for Health Research and Quality, a division of the National Institutes of Health. She then self-funded the continuing development of the technology and to date has infused about $2.5 million dollars. CORAnet is patented in the US, China, and Canada. Another patent is pending for “Mobile Interoperable Personal Health Information Exchange with Biometrics Data Analytics”. She has more than 26 years of experience in health care management and education, serving as a nurse instructor and IT systems reviewer at Walter Reed Army Defense Medical Information Systems, Washington, D.C. She also served as a nurse supervisor at the VA Lakeside Hospital and as a nurse educator at the Washington, D.C., Hospital Center. The day before she moved from the Philippines to the United States, Cora Alisuag made a promise to her father: She would return one day to help improve health conditions for the people in her homeland. She took a significant step toward fulfilling that promise when she opened the Philippines’ first technologically advanced industrial and hazardous waste treatment plant near Manila—a more than $3-million dollar state-of-the-art facility that she built entirely at her own expense in an effort to stem the flow of dangerous industrial wastes into the environment. It is just one of many accomplishments she has achieved in the two decades since moving to the United States. She was a nurse instructor and IT systems reviewer/beta tester for the US Army Defense Medical Information Systems Office of the Waller Reed Army Medical Center (DC) and was instrumental in developing a third-party outpatient collection system that allowed Army hospitals to collect payments from private payers. She was also a head nurse (VA Lakeside Hospital, Chicago, Illinois) and nurse educator (St. Joseph’s Hospital, and Michael Reese Hospital, Chicago, Illinois) and designed and implemented internship, mentorship, and wide-track career planning programs (Washington Hospital Center, Washington, DC. Alisuag is living proof that hard work does pay off. 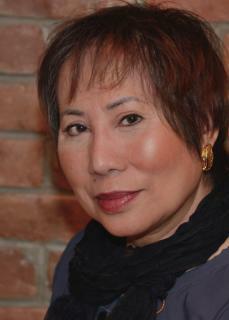 With advanced degrees in nursing from the University of the Philippines and business-related fields from U.S. colleges, she started Aliron International, Inc. in 1989 with a $200.00 investment and a small contract from the federal government to supply nurses to the Great Lakes Naval Hospital in Illinois. Though she wound up losing money on the contract, she impressed authorities at the Department of Defense with her ability to meet their needs ahead of the deadline. Three years later, after Aliron achieved certification as an 8(a) company by the Small Business Administration, the U.S. Army Medical Command gave Alisuag a major contract to supply dental personnel to all of its facilities in Germany—the first such contract ever awarded to a small 8(a) company. Alisuag was so successful in fulfilling the agreement that in subsequent years, federal authorities awarded her with nearly two dozen additional contracts. Those contracts included operations and management of health-care services for the Department of Defense and Veterans Administration in 20 states in the continental United States, as well as projects in Germany, Italy, Korea, Japan, Singapore, Guam, Panama, Alaska and Hawaii—projects that employed hundreds of people in 65 different categories of health-care services. Meanwhile, in collaboration with the Small Business Administration, the Offices of the Surgeon Generals of the U.S. Army, Navy and Air Force, Alisuag successfully spearheaded an initiative to increase the Small Business Size Standard that was published in the Federal Register. The new standard was passed into law in December 2000. In meeting all of the demands of her contracts, Alisuag has demonstrated an uncanny ability to manage dozens of projects simultaneously across 19 time zones. To help accomplish her goals, she opened regional offices in Germany, Japan, Hawaii and in Texas, where she took on one of her greatest challenges: answering a Defense Department request to build and fully staff two state-of-the-art health-care clinics for the U.S. Army at Fort Hood, the world’s largest military post located 60 miles north of Austin. Less than a year later, Aliron opened the two clinics ahead of schedule, providing much-needed medical services for more than 100,000 military personnel and their families. In the months that followed, the company built two more medical clinics for the Veterans Administration in Michigan and New Hampshire. Eventually, Aliron International, Inc. grew too large to keep its 8(a) status, and at the federal government’s request, the company began mentoring Native American groups to take over some of her contracts. “I’m particularly proud of the work we’ve done with the Cherokee Nation in Oklahoma and other tribes,” says Alisuag, whose company has operated completely debt-free for 25 years. By the time she sold Aliron International in 2015, her company was awarded nearly 300 contracts by the federal government. In the late nineties, Alisuag invented CORAnet, a patented ground-breaking electronic technology that started by utilizing smart media cards, reader and fingerprint biometrics that aimed to significantly expedite the transfer and storage of medical records for military personnel. The prototype of her invention was funded by the Agency for Health Research Quality (AHRQ) under the US Small Business Innovative Research Program(SBIR). She incorporated CORAnet Solutions, Inc. in Delaware in 2009. In 2002, at the request of the government of Guam, she also began construction of a 13-acre ground remediation treatment operation to help solve one of that island’s most pressing environmental issues: contaminated soil. And in 2004 she established Aliron Philippines, a domestic company that focused on building additional pollution-abatement facilities in her homeland. “When I flew to the Philippines to visit family a few years ago,” she says, “I was heartbroken by the country’s severe pollution problems. I vowed to try to do something about it.” It didn’t take her long to get started and she did. Alisuag also continues to support Filipino causes in the United States. In September 1999 for example, she hosted a successful fundraising event at her residence in Washington, D.C. for the Filipino veterans who fought with U.S. soldiers in World War II. The event, which included a special appearance by former Philippine President Fidel Ramos, generated more than twice the amount of money organizers had hoped to raise.